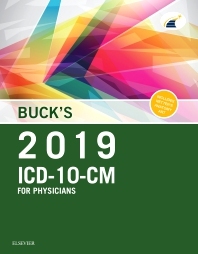 Selecting diagnosis codes is faster and easier with Buck's 2019 ICD-10-CM Physician Edition. Designed by coders for coders, this full-color manual ensures you learn the most accurate billing and reimbursement codes for medical services provided in the physicians’ office and out-patient settings. As coders need extensive knowledge to code with ICD-10-CM — and to choose from the thousands of possible codes — this edition makes it easier with colorful Netter’s Anatomy illustrations to help you understand anatomy and how it can affect your code choices. In addition, it comes with durable spiral binding, and includes a companion website with the latest coding news and updates.